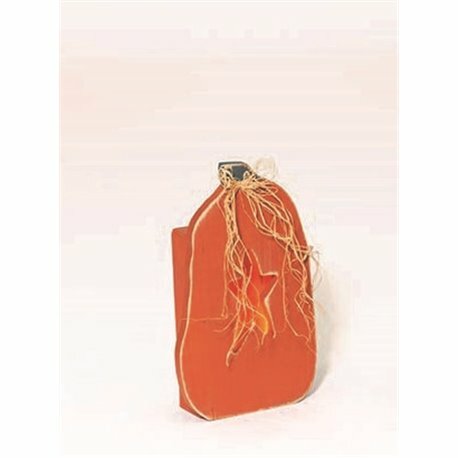 Sitting on the porch, the mantel, or even the dining room table, this luminary will surely not only brighten the room, but will bring a smile to your face! Add rustic charm to your home this holiday season with this handmade, primitive Luminary Pumpkin with Star cut out. 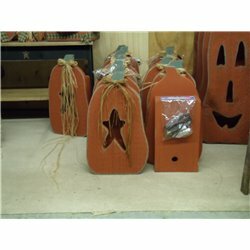 Display on your Table Top, Mantle or Porch. Crafted by Pennsylvania Amish.